Dogs suffering from allergic dermatitis and food hypersensitivity are prone to develop inflammation of the ears. Matter of fact, the involvement of ear may be the one and only indication of an allergy. The Itching-scratching-itching cycle develops which results in loss of hair, scabs, and crusts around ears. The ear canal is filled with brown was which may sometime appear very red. Ear canals which have been medicated with medical ear preparations are prone to allergic contact dermatitis. The frequent cause of this problem is the antibiotic ‘neomycin’. 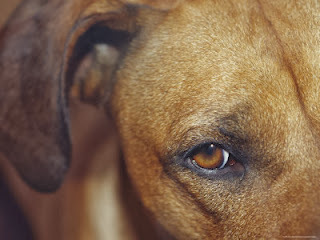 On-and-off skin and ear infections are not normal for dogs and if your dog suffers so then there might be an underlying immune problem, or thyroid, or adrenal gland disease. The dogs which have positive reactions to molds, trees, or cultivated plants are prone to skin and ear yeast infections. The dogs with positive reactions to cultivated plants are more prone to otitis externa and foot pad lesions. ‘Malassezia’ is adapted to nonhuman animals in particular, it has however, been causing generalized infections in human beings. This yeast can be transferred by human health-care workers from their pet dogs to neonatal patients. This is the most common yeast contributing chronic otitis externa in dogs. In order to eliminate the ear symptoms, it is necessarily to treat the underlying skin disease. Antihistamines, topical and oral corticosteroids are used for the treatment of itching. It is advisable to stop the usage of any ear preparation that causes allergy. Bacterial or yeast infection must be treated as otherwise they may cause complications in allergic otitis.